Ireland, a neighbouring country of the UK, is one of the wealthiest countries in the OECD (Organisation for Economic Co-operation and Development), and over the last few years it has emerged as a preferred destination for international students looking to study in Western Europe. Learn more why you should consider studying in Ireland below and arrange a free consultation today to get your application started! Ireland is home to some of the best universities in the world. 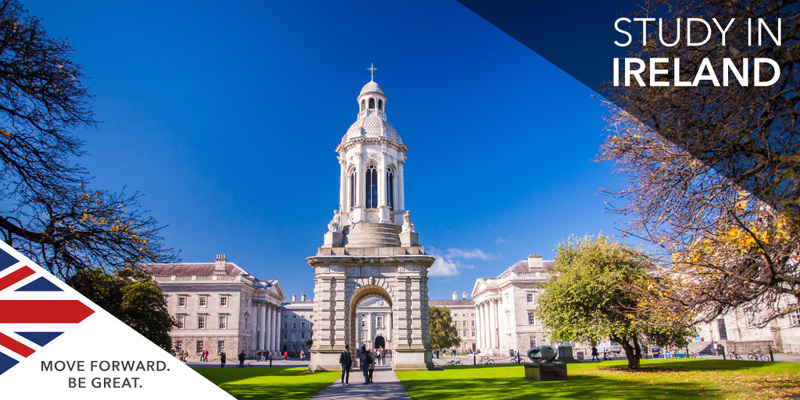 Trinity College Dublin is ranked 117th in the 2018 THE World University Rankings and has an international reputation of the highest quality, while University College Dublin and National University of Ireland, Galway rank in the top 250. If you are interested in studying abroad in Ireland, arrange a free consultation with SI-UK today. Our international application experts can help you successfully apply to a variety of different schools and study levels.